The Senior EMC Storage Specialist is responsible for the delivery of support, operations and maintenance services on enterprise level DELL EMC storage systems. This position is a stakeholder facing role, and requires that the Senior EMC Storage Specialist establish and manage expectations within the support base and drive service excellence to achieve those expectations with a high standard. The Senior EMC Storage Specialist tasks include performance management comprising services for tracking, measuring, analyzing and reporting system performance to meet agreed upon service levels. • Ownership of operational responsibility for storage provisioning and availability at the Customer site(s) with the Customer Storage Manager. • Provisioning storage based on standardized procedures details in the Operations Run Book and meeting Customer agreed upon standards. • Configuration and layout of storage infrastructure. • Recommending changes to procedures which result in operational optimization and improved SLAs. • Manage the Storage system configuration including initial Storage configuration, modifying configuration files, system configuration documentation and access to system configuration files. • Recommend Storage system updates and configuration modification to customer point of contact as required. • Maintain tools for remote management and alert monitoring. • Maintain operational support procedures. • Evaluate planned changes to the Storage environment and advise of any requirements to support such changes. • Enable passwords for Storage Management to use to connect with other systems on the network. • Adhere to customer standard security processes and procedures. 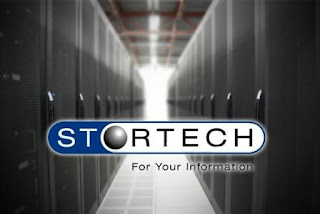 • Synchronize security information among Storage Sub-Systems. • Create modify system login/logon scripts. • Assign local system accounts, workgroup etc. • Provide input into a standard operational procedure for DELL EMC Storage Support best practice. • Assiting in preparation for host based migration tasks. • Responsibility for preparing Storage for any customer projects, if applicable. • Manage queues for incidents, problems, changes and other service requests pertaining to performance. • Analyze performance service levels breaches, alerts, trends and root causes to restore service. • Track and tune proactively, performance through trend and exception reporting to avoid possible service level breaches. • Tune reactively to restore for performance incidents and root causes. • Provide corrective action to resolve system performance problems and provide recommendations to prevent possible furture incidents. • Recommend changes agreed upon system performance levels. • Implement performance changes as approved through the customer’s formal change management processes. • Define performance related metrics and data collecting, summarization, and Storage requirements. • Collect, summarize and store performance data (Standard Performance Data Management). • Define performance alert thresholds to support agreed upon service levels. • Provide standard performance reporting. • Strong client relations and personal networking skills.